Stewed tomatoes might be one of the simplest side dishes. At its basic, it's just a can of whole tomatoes simmered with sugar and white bread to thicken. 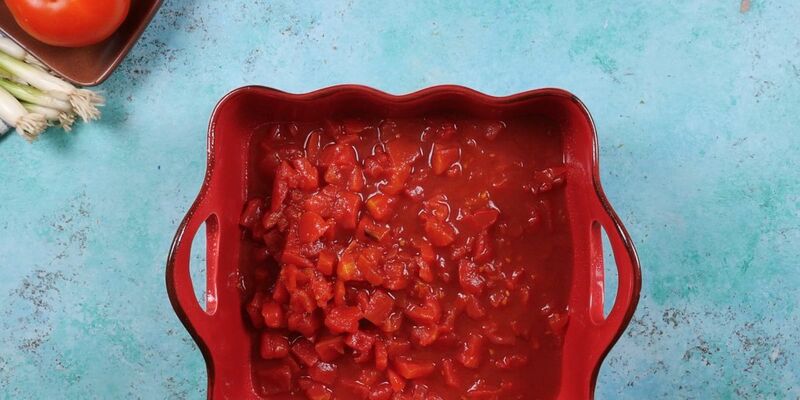 Somehow, this simple dish is so much better than other canned tomato dishes. Serve these savory tomatoes on their own as a side dish to accompany any meat. They become an appetizer when served with a side of crusty bread. Those with a real craving for good Southern comfort food can eat them on top of their favorite cream cheese grits. Preheat the oven to 350 degrees F. Grease an oven-proof casserole dish with nonstick spray or butter. 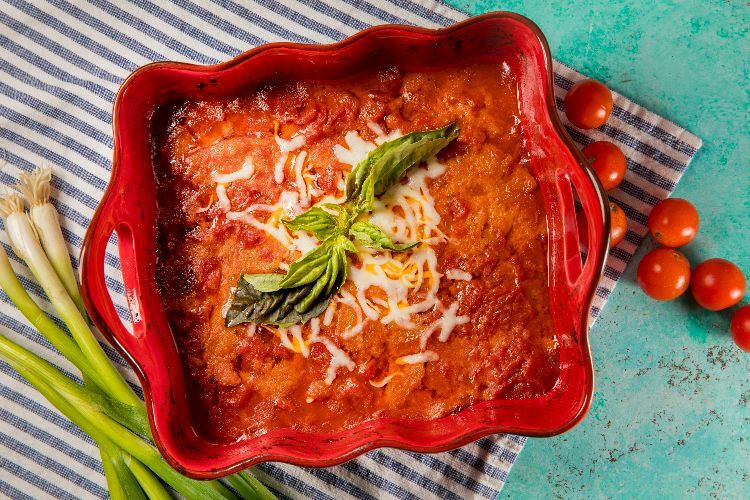 Place the tomatoes and their juice in the casserole dish, crushing them lightly between your fingers to make large chunks. Tear the bread slices into rough pieces and add them to the casserole dish. Add the melted butter, brown sugar and salt. Stir to combine. Bake, uncovered, for 45 minutes, until the top is lightly browned and the mixture is thickened. Cover the casserole dish with aluminum foil for the last 15 minutes if the top is getting too browned. This sweet and savory chowder gets its flavor from Cajun seasoning, which adds depth and a little bit of spice, too. A fully cooked ham is an impressive entree that is wonderfully easy to prepare.